I'm a dedicated fan to Dragonball Z. I think Akira Toriyama developed a truly awesome story that is standing the tests of time. The universe he created is taking on a life of it's own as fans all across the world explore it and discover stories and facts that he never new existed. On the one year anniversary of the androids' demise, an even deadlier threat emerges from space having followed a visitor to Earth. 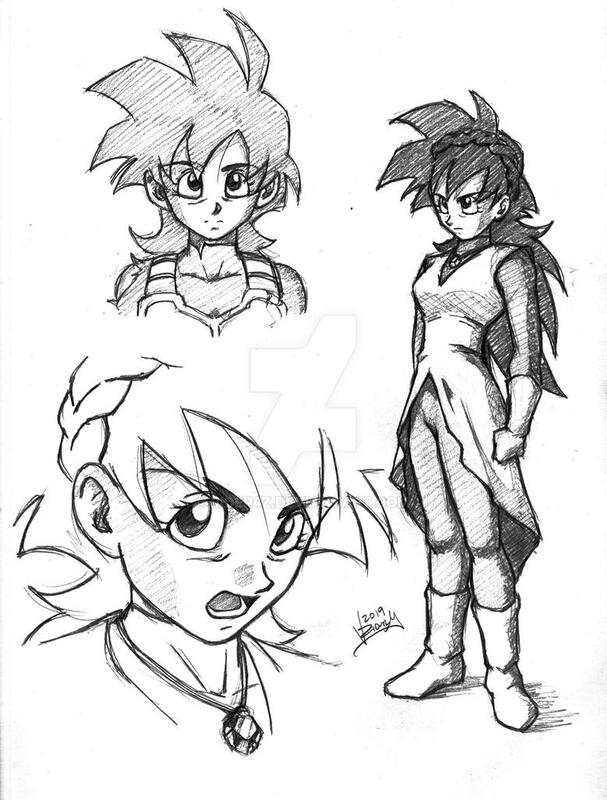 The visitor is none other than a young saiyan named Celari who comes in search of Prince Vegeta. Trunks finds himself back amongst the death and horror he grew up with and blames the unwelcomed saiyan for it. He makes the decision on his own to follow in his mother's footsteps to find Planet Namek and restore the dragonballs on earth. However, Celari may be his only key to finding the new planet, and has no idea just how astonishing her origin actually is. The shadow of Vegeta is unmistakable in Trunks as he's forced to choose between keeping his pride and protecting the human race from repeating a horrendous fate. Personal Quote: Art is perfection in imperfection. LAST UPDATE 4/17/19 - From time to time I modify the literature and update the file. YOU MUST HAVE ADOBE ACROBAT/READER OR OTHER PDF READER PROGRAMS TO VIEW. On the one year anniversary of the androids' demise, an even deadlier threat emerges from space having followed a visitor to Earth. 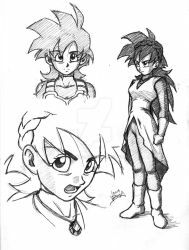 The visitor is none other than a young saiyan named Celari who came in search of Prince Vegeta. Trunks finds himself back amongst the death and horror he grew up with and blames the unwelcomed saiyan for it. He makes the decision on his own to follow in his mother's footsteps to find Planet Namek and restore the dragonballs on earth. However, Celari may be his only key to finding the new planet, and has no idea just how astonishing her origin actually is. The shadow of Vegeta is unmistakable in Trunks as he's forced to choose between keeping his pride and protecting the human race from repeating a horrendous fate. PLEASE DO NOT REVEAL SPOILERS IN ANY COMMENTS YOU MAY LEAVE! I'd be happy to discuss details in private notes. 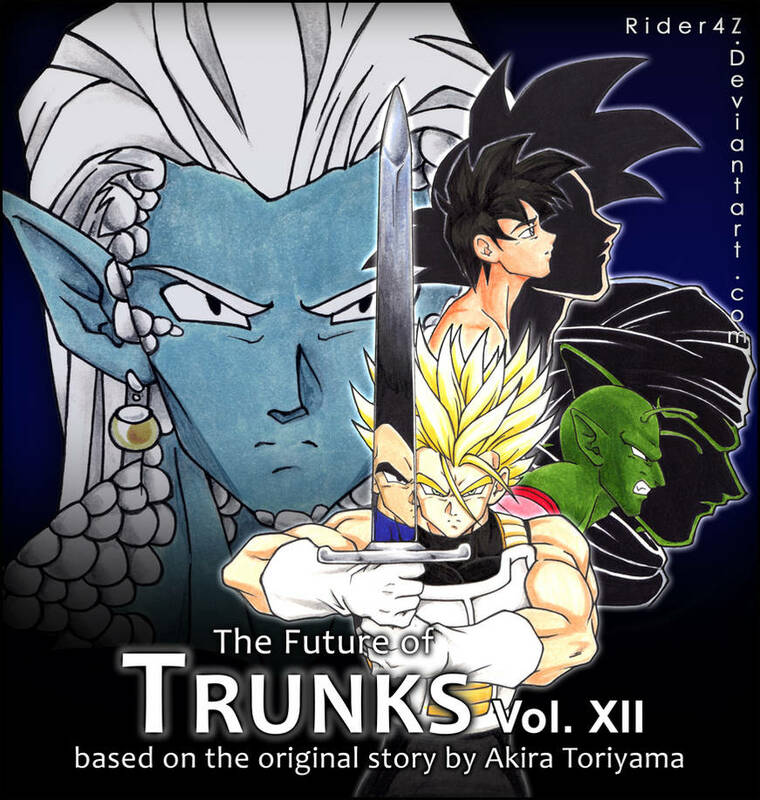 I haven't updated anything since earlier this year, but Volume XI is finally available. I have one more volume to finalize before I put it up. I apologize for not uploading anything lately but I have a good excuse... My husband and I are having a baby I'm due in a month so wish us luck I still come on regularly just to check things but yeah I haven't been able to produce much artwork lately. Quick shout out and thank you to my new readers, you guys encourage me to keep up with my story! Much appreciated, if you ever have any questions feel free to send me a note. I love talking with you guys! Merry Christmas and Happy Holidays! Hope you and your family are doing well. No problem and I see! Busy with the real life?